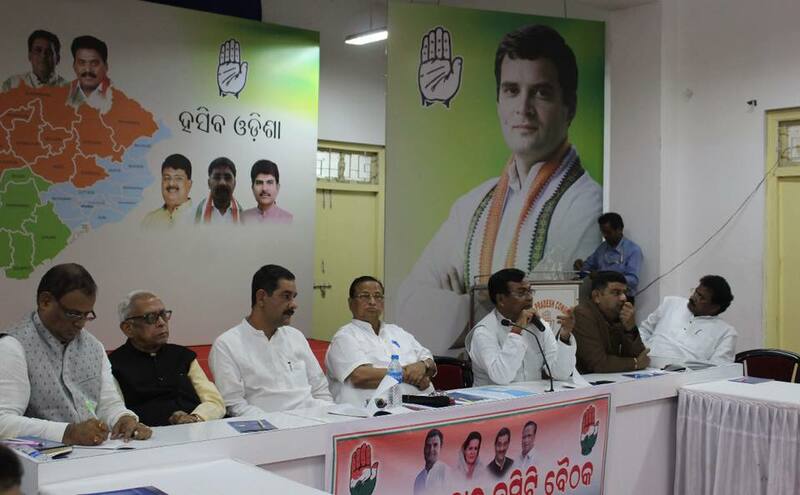 Bhubaneswar: Odisha Pradesh Congress Committee starts preparation for shortlisting candidates ahead of for 2019 elections. The Pradesh Election Committee (PEC), comprising OPCC president Niranjan Patnaik, Leader of Opposition Narasingha Mishra, party Odisha in-charge Jitendra Singh and others met candidates who had lost the 2014 elections by a margin of less than 15,000 votes. As per reports, applications of the candidates would be reviewed before being sent to the All India Congress Committee’s (AICC) screening committee for final approval. OPCC chief Niranjan Patnaik said the candidates who lost their security deposits in the last elections would not be given tickets for the upcoming polls. Similarly, those convicted in criminal cases would also be barred from the list while those framed or charged due to in-party intolerance might be considered separately. However, candidates belonging to same family having equally good public acceptance shall be considered for tickets, Patnaik clarified. Notably, the OPCC had on Sunday informed that the party would declare its first list of 50 candidates within next few days.